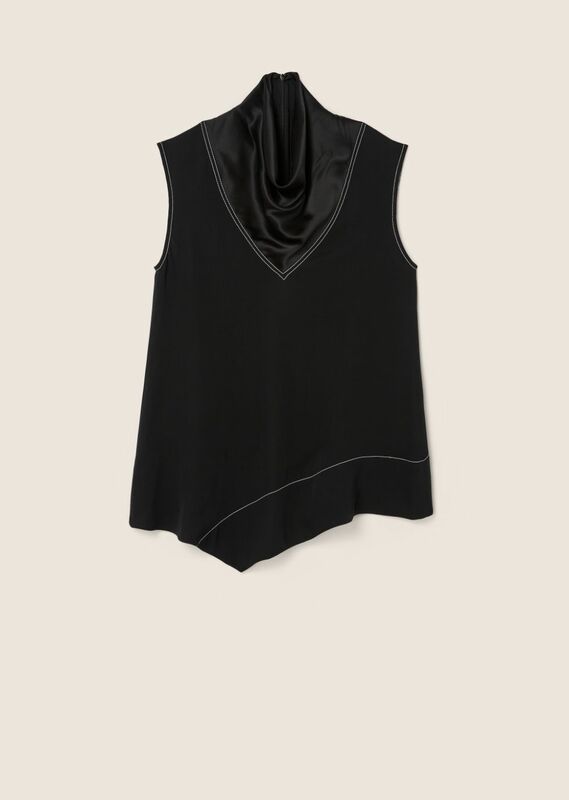 Sleeveless blouse in black 2-ply silk crepe with asymmetrical hem and draped tonal satin mock neckerchief detail. 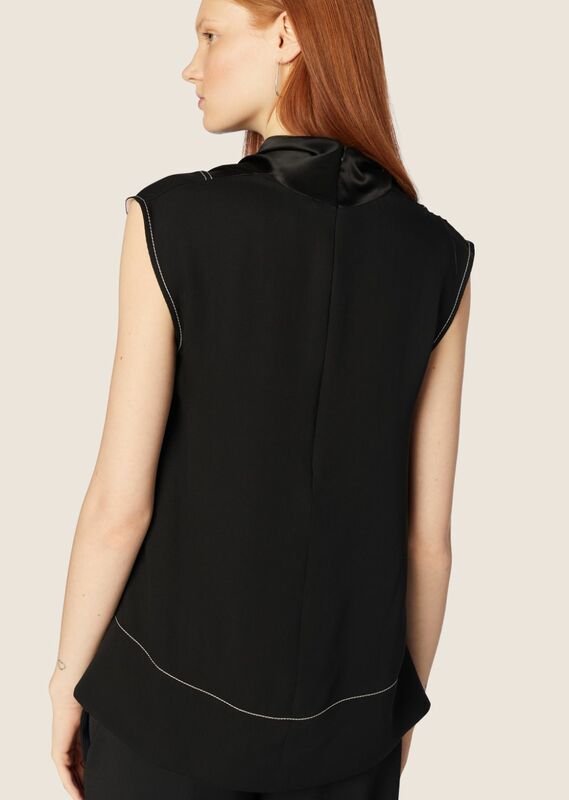 Concealed back zip closure. White topstitch detailing. Imported.